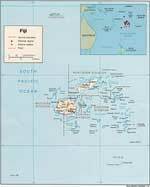 First people appeared on the territory of these islands yet during the prehistoric era. 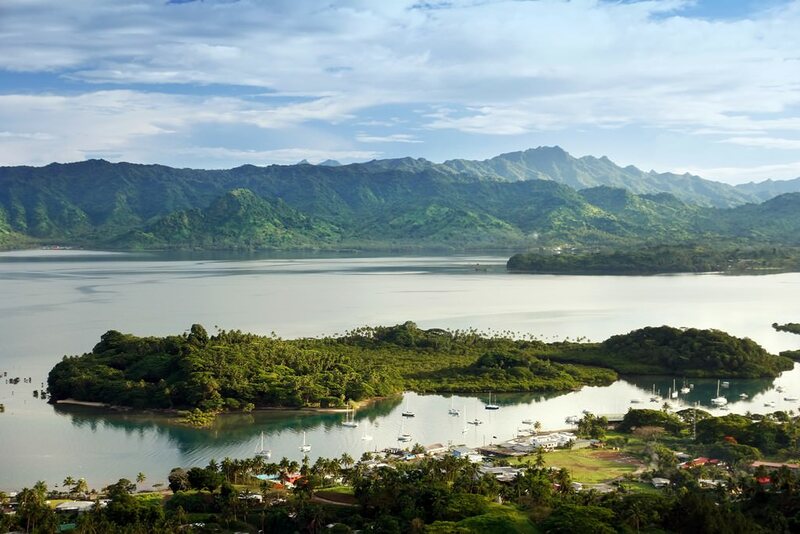 The Republic of Fiji is famous for its exotic nature, unusual culture and warm attitude. The capital of the country, Suva, is the biggest and most visited city in Fiji. The main landmark of Suva is the Museum of Fiji, which exhibits a large collection of historic and archaeological relics. 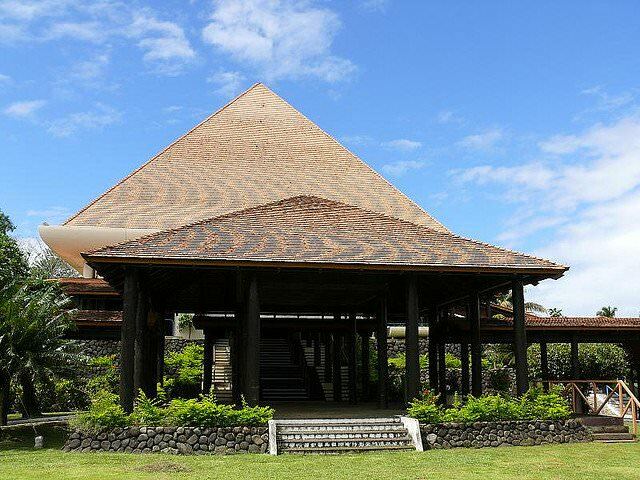 No other island in the Pacific Ocean can conquer with this amazing museum in terms of size and number of items exhibited. The museum is located in the centre of Thurston Gardens. The park is also the location of two beautiful buildings – the Parliament House and the Government House. 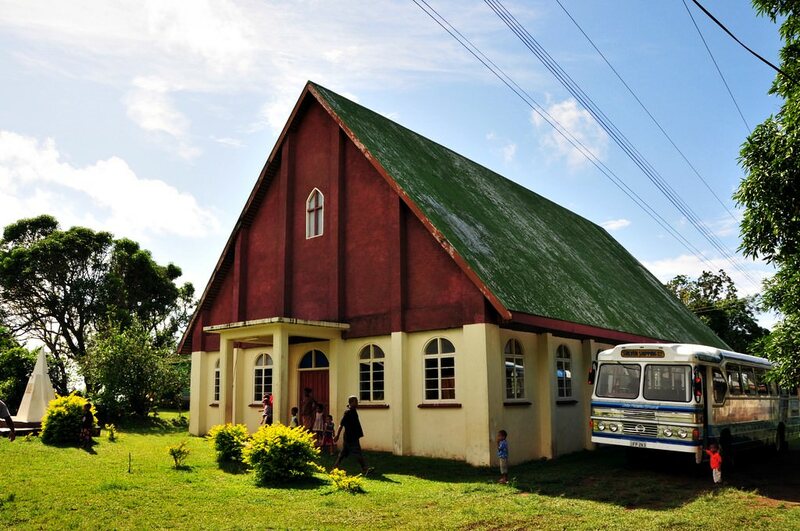 When it comes to describing sights of Suva, it’s simply impossible not to mention The Church of Saint Francis Xavier High that is located on a hill. Continue your acquaintance with the country by visiting Sigatoka. Make sure you visit Kalevu Cultural Centre, where you will be able to see an ancient mosque and enjoy its beautiful mosaic, take a walk on old streets full of historic mansions. Sigatoka Sand Dunes Park is a true gem of the city. The 650 hectare large park is an interesting place that attracts not only tourists but also archaeologists. Thanks to excavations an old necropolis that belongs to the 14th – 16th century was found in the park. Nausori National Park is one of most famous reserves in Fiji. The large park is a great place to see flora of the islands in its splendour – hundreds of different trees and flowers, fast mountain rivers and beautiful rocks simply cannot leave travellers indifferent. There is a botanic garden nearby. It’s called the Garden of Sleeping Giant and is dedicated to orchids. It’s a rare place where visitors can see as many as two thousand types of this wonderful flower. The Fiji Islands are considered one of the most romantic places in the world. Many newlyweds come here to hold a festive marriage ceremony. Local hotels offer a lot of unique services concerning the wedding. All ceremonies are incredibly fascinating. The coast with white sand, wreaths of tropical flowers, sounds of waves and fresh sea air... Annually, thousands of couples aim to hold a wedding in such an atmosphere. One of the best places for holding a wedding ceremony is the Yasawa Islands. Local resorts are also perfect for enjoying a romantic vacation. Fiji cultural sights. What to see? The resorts of Fiji are very prestigious. There are hotels of the world-famous chains in the islands. There are several fashionable hotels of the Sheraton chain. Only the wealthiest travelers can stay here. Hotels offering to stay at individual bungalows on the sea coast are very popular with travelers. Some houses are built directly above water, which makes them even more extraordinary. The resort of Vatulele is popular with fans of peaceful recreation. It offers its guests luxurious beaches with white sand and 12 fascinating villas built among the thickets of palms. All villas are located quite far from each other and include beaches. 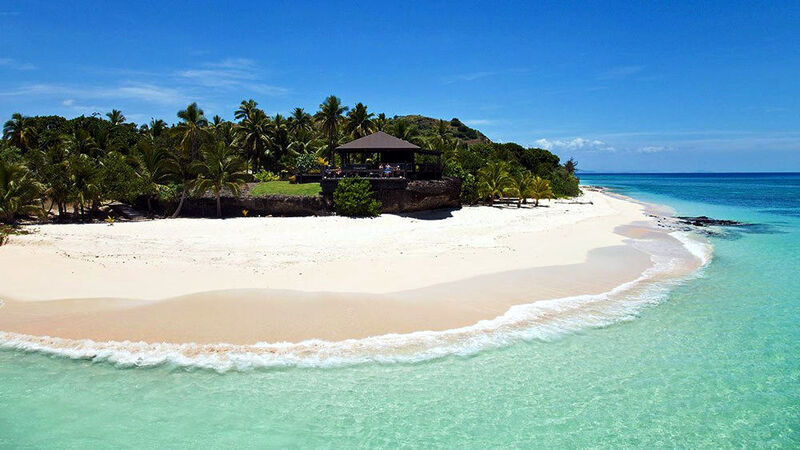 The Fiji Islands are perfect not only for a romantic and peaceful vacation. There are excellent conditions for water sports. The guests of the islands can dive here all year round. There are also wonderful places for rafting in the islands. You can also do the river rafting among enchanting natural areas. During this, you can admire marvelous waterfalls and unique tropical landscapes. Local resorts offer fans of active holidays to surf or take part in the underwater hunting. Some resorts include excellent golf centers and yacht clubs. Some entertainments available for guest of the local resorts are really unique. The natives hold grand dance and musical performances for tourists. One of the most exotic national rites is fire walking. Fiji is one of the few islands in the world that have managed to borrow all attractions of the modern civilization and preserve their inimitable national traditions at the same time. This article about iconic landmarks and sights of Fiji is protected by the copyright law. You can re-use the content, but only under the condition of placement of an active link to www.orangesmile.com. 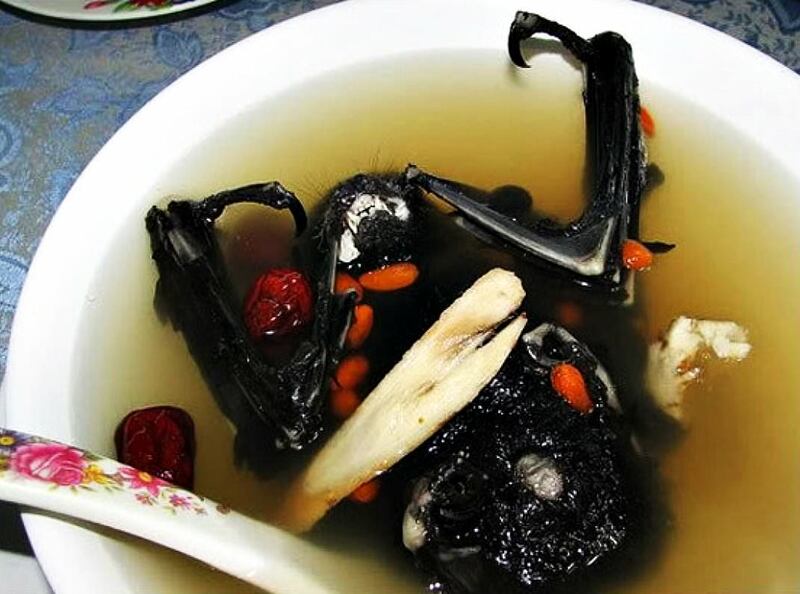 In many Asian countries, a soup of bats remains a popular delicacy. There are numerous fans of this exotic treats in the Fiji Islands. The main feature of the dish is to cook whole bats. The treat is also served to the table with an uncut animal. The price of this delicatessen is quite high, so not everyone can enjoy it. To prepare the dish, chefs have to work hard. The thing is that the meat of the bat has a strong and rather unpleasant odor. To get rid of it, carcasses of bats are long soaked in a special sauce of chili and garlic. This exotic delicacy is quite common in Vietnam, where there are many ways to cook bats. Animals are caught in the numerous caves and then delivered to the restaurant, where chefs cook real culinary masterpieces. 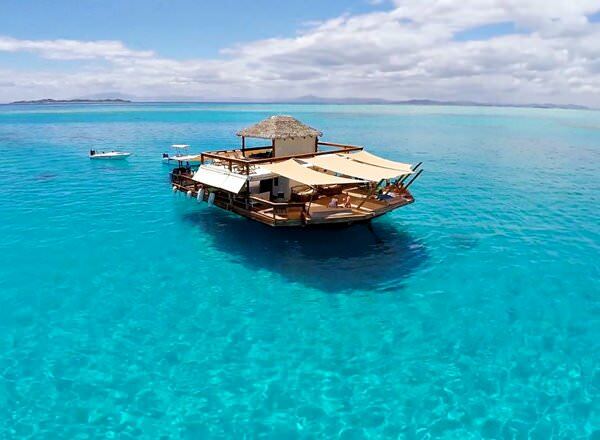 Not far from the island of Viti Levu, which is a part of the Fiji archipelago, an amazing floating Cloud 9 bar is located. It offers its guests a chance to relax in an incredible atmosphere, surrounded by the sky-blue waters of the ocean. The bar is a two-storey wooden platform, equipped with anchors. It has many excellent recreation areas. Its visitors will have an opportunity to try a number of specialties and enjoy exotic drinks, and then go to sunbathe on the terrace. A real surprise awaits gourmets - a high-quality Italian pizzeria in which pizza is cooked on open fire. At any time, visitors to the floating bar can swim in the ocean, and they also have the services of a diving center. Many travelers know the island of Turtle, which is part of the Fiji archipelago, among the other names - turtle island. The name reflects one of the main characteristics of the island - the turtles are the main inhabitants of the island. In addition, more than 100 species live on the island. In the coastal waters one can see more than 1 000 fish species and other representatives of the underwater world.